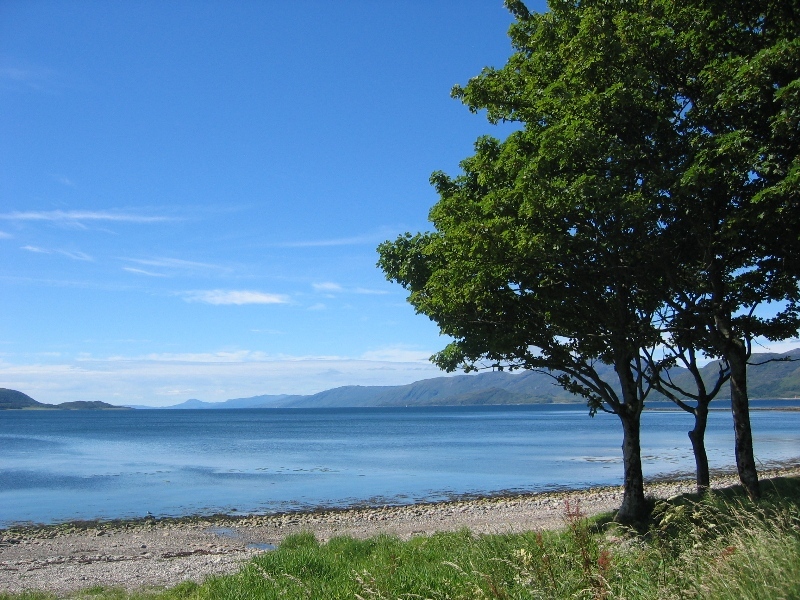 The Cuilcheanna peninsula is located in a quiet area besides the shores of Loch Linnhe, from which stunning views of the surrounding Scottish countryside are a part of everyday life. 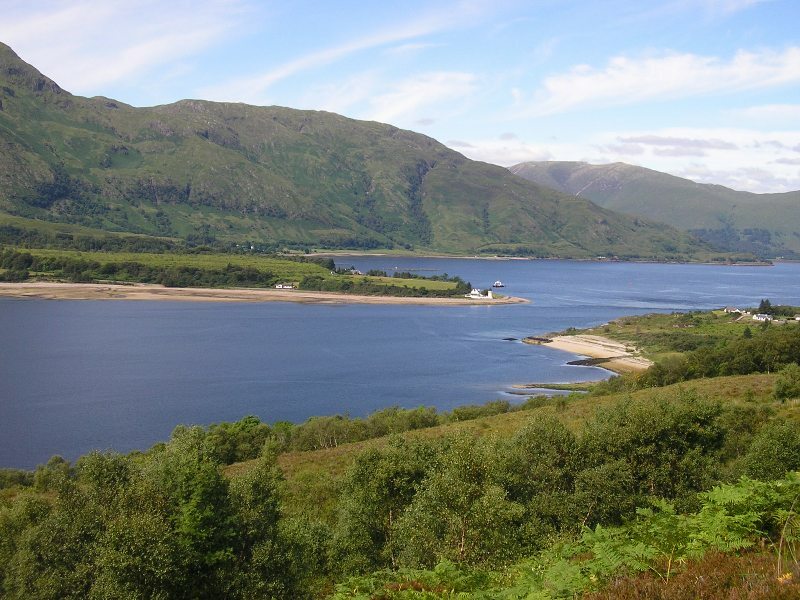 The grounds extend right down to the shore, and a short ascent up Cuilcheanna Hill provides an even more spectacular panorama of the surrounding mountains and lochs. Cuilcheanna is a popular location from which to view some quite magnificent sunsets. 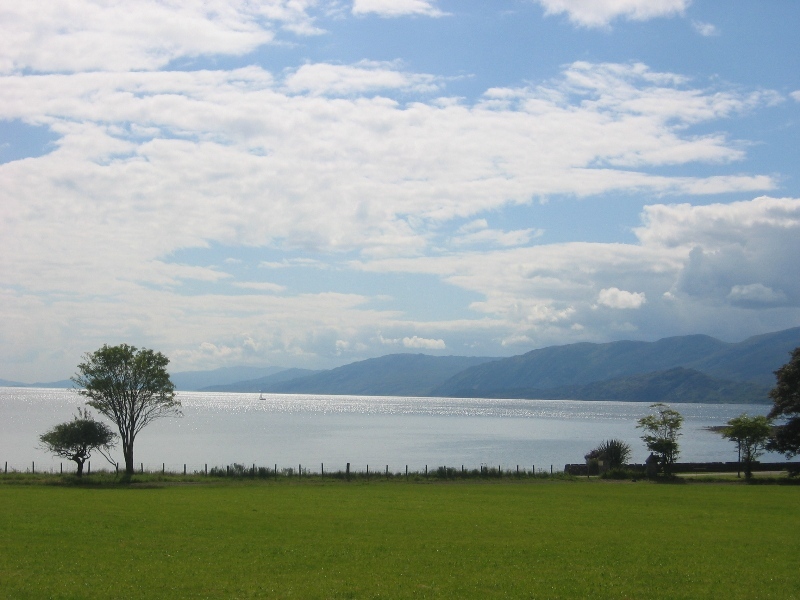 Cuilcheanna is location only a short walk away from the centre of the village of Onich, with its hotels and restaurants. 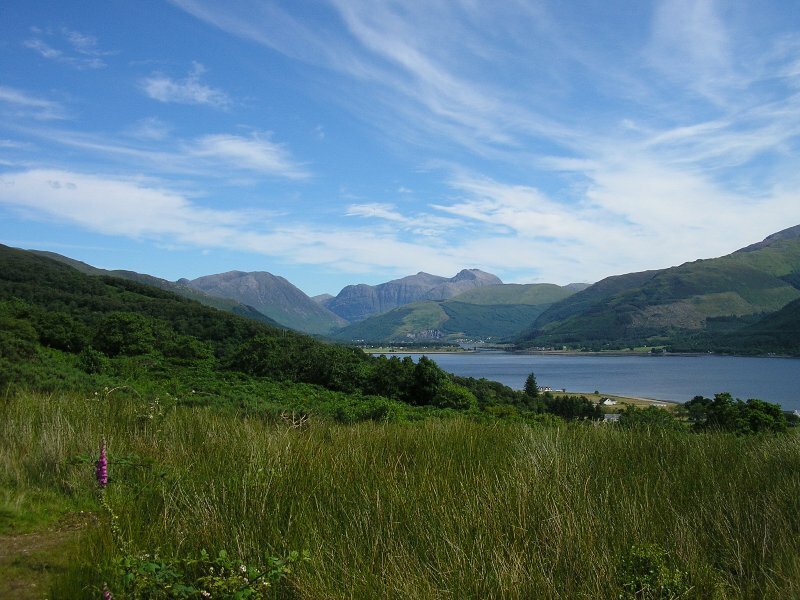 It's an ideal base from which to explore the many and varied attractions of Fort William and Lochaber. 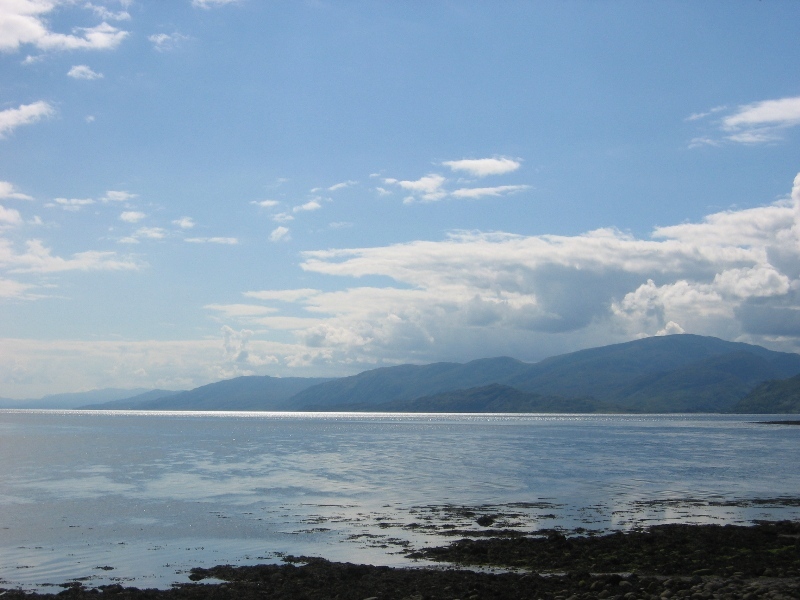 The area is a paradise for hillwalkers, but there is always plenty to see and do, whatever your particular interest happens to be. Whether your stay with us is a long one, or just for a few days, we will do our best to ensure that it is enjoyable and memorable. Some views of Cuilcheanna and the surrounding area can be seen on the right - for full enjoyment, please make sure that you click on the image to open a larger version in a new window. 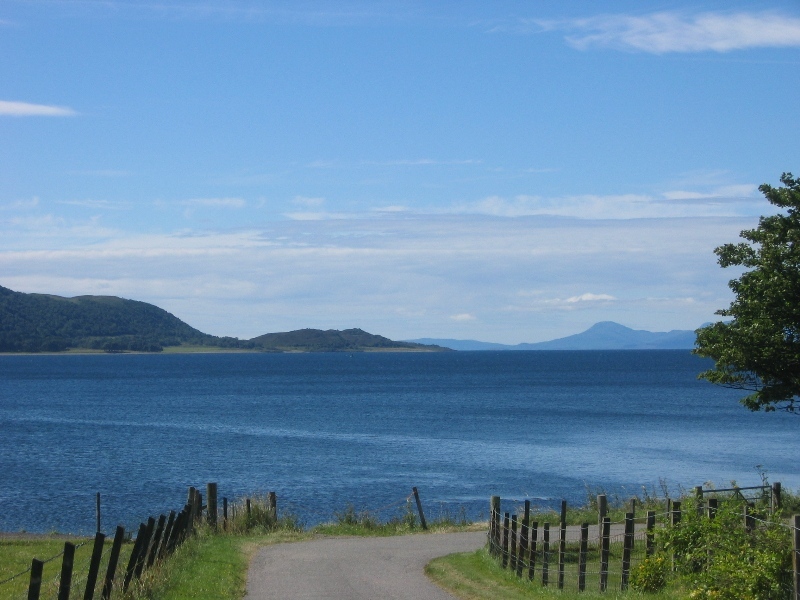 Remember, this is only a small selection of what can be seen when you are here on your holidays!